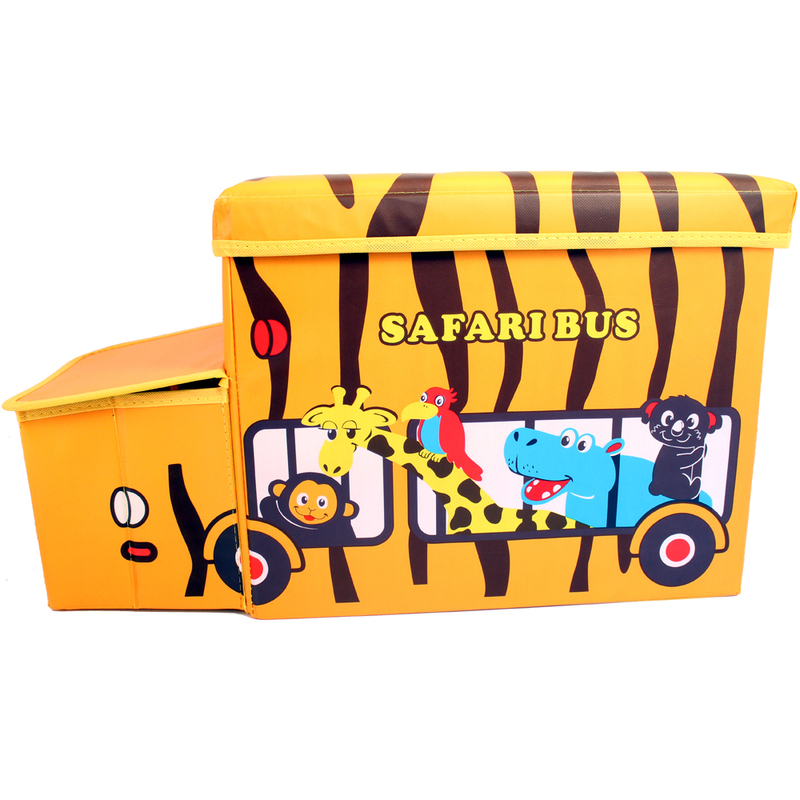 A safari bus toy box (55cm x 26cm,h32.5cm), which has an extra storage compartment in the bonnet! One side features a flamingo, lion, panda, elephant and parrot. The other side features a monkey, giraffe, parrot, hippo and koala. There is a tiger's face at the front and a tiger's tail at the back, with a registration plate that says ANIMAL. It is lined in yellow.